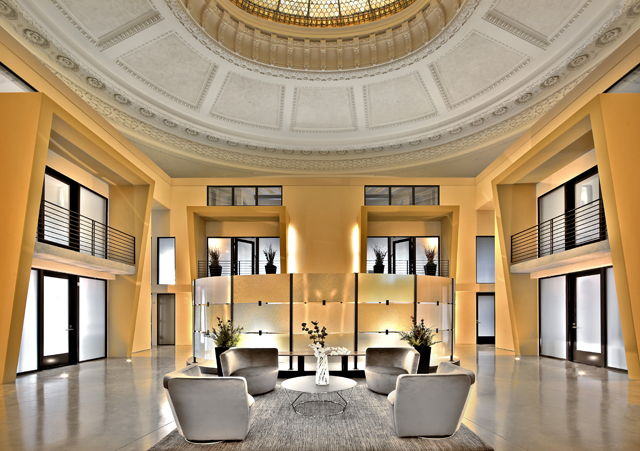 A development as ambitious as it is beautiful, The Sanctuary returns to the Capitol Hill real estate market this weekend some two and a half years after its aborted first attempt at selling Seattle townhome buyers on living in an “oh my god expensive” overhauled 1906 church. A public preview of the property at 16th Ave and E Denny Way continues Sunday from 11a to 6p. Sales begin January 28th. In the intervening years since it first debuted, the project has passed through tumultuous financial struggles that saw the creative partners behind the original project displaced by the bank they borrowed millions from to complete much of the construction on the project. 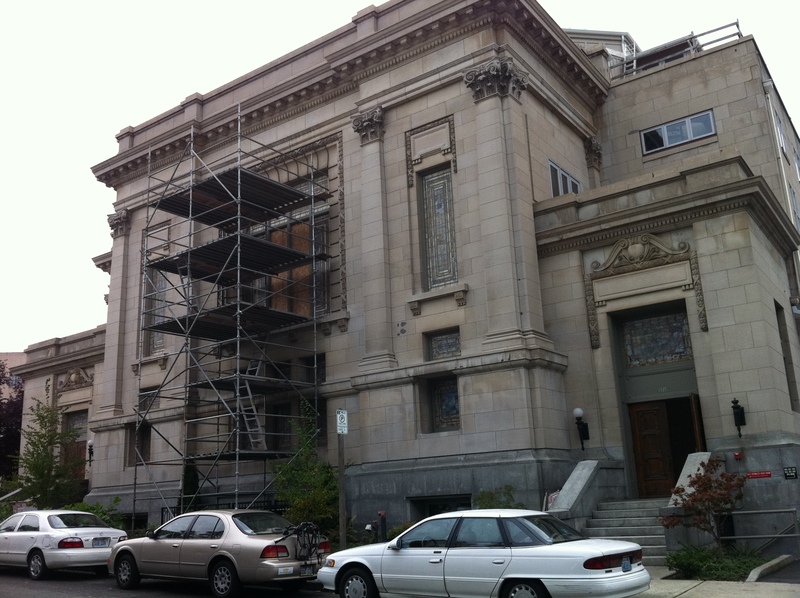 In July, CHS reported on new developers taking over the project with a plan to bring the 12 units back to the market — this time with steep price reductions and with solutions for some of the stubborn but amazing preservation choices the original developer had intended. The units first listed between $799,000 and $1,575,000 in 2009. I looked through the Sanctuary when it initially opened for tours. When you first go thru, it’s all so stunning, you kind of forget to be objective. Little by little, as you continue thru the building, you realize the utter lack of light, which is a huge drawback. The stained glass is lovely, but not so practical in a place that is so light-starved anyway. We won’t even mention the astronomical prices…that’s a given drawback! Judging from the photos accompanying the story, I’m not sure that the placement of modern design elements into the Classical Revival shell of the church really works that well. Seems rather jarring, especially in the “atrium” photo. Light looks “soft”, so they probably used some accent lighting and a longer exposure. Also might have added in a bit of saturation after the fact. Definitely some artistic liberty was taken. 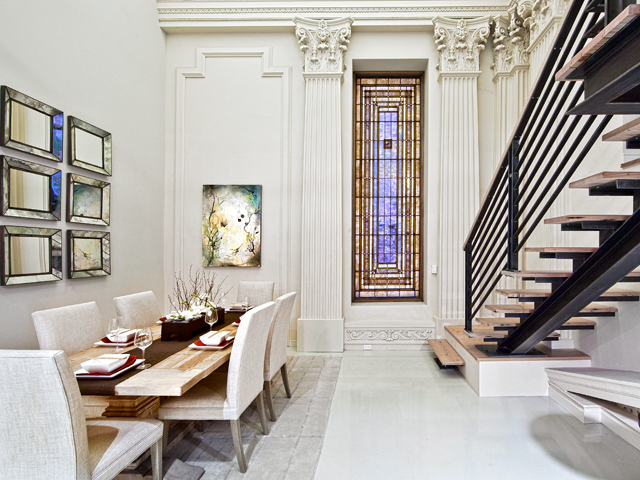 looks like an HDR shot to me http://bit.ly/IFVP which I’ve been noticing a lot lately in high end real estate photos. Wow these places look great. I saw them when they were first open, 2 years ago and I have to say they are much better. I’ve been watching this with sadness. What could have been a public space, part of the cultural fabric of the city to be enjoyed by the many, hacked into pieces and overlaid with this already dated re-design for the few. The result is akward and innapropriate to the shape and scale of the building and the way it fits into the neighborhood. You should have put up the money then. That’s how it works. You know any of you would kill to live in one of these units if you could afford it. Or do you really prefer your $600/month basement apartment with shared bathroom? Just curious…what was your bid on the property?